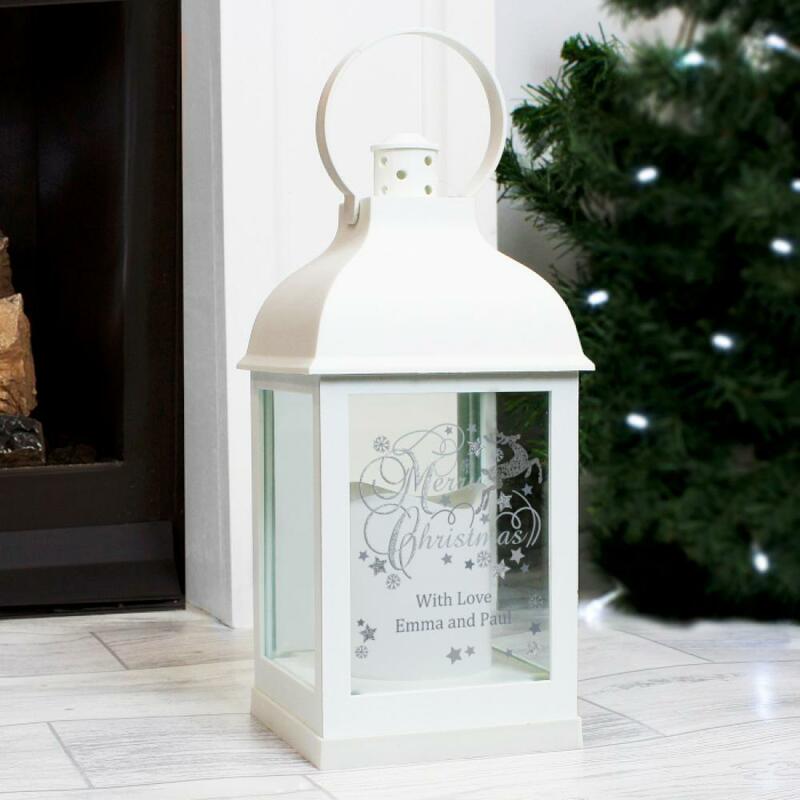 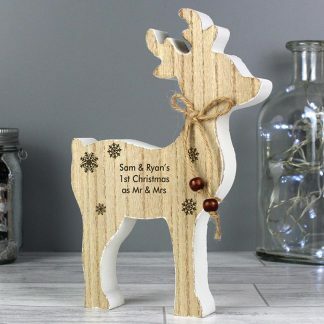 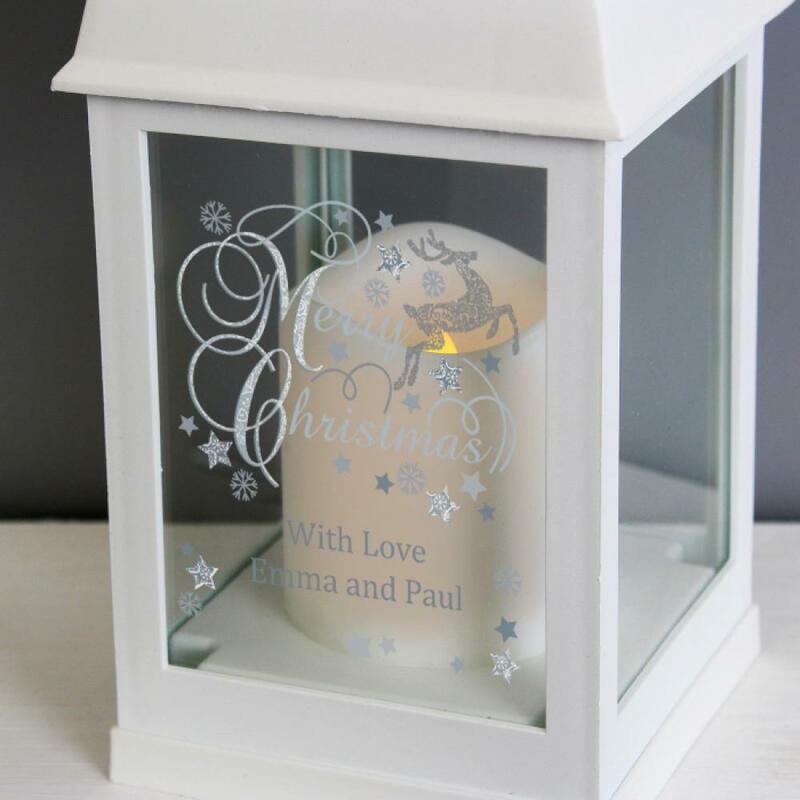 Our stunning Personalised Silver Reindeer White battery-powered lantern has a realistic flickering warm orange flame effect, adding a festive touch to any room this Christmas. 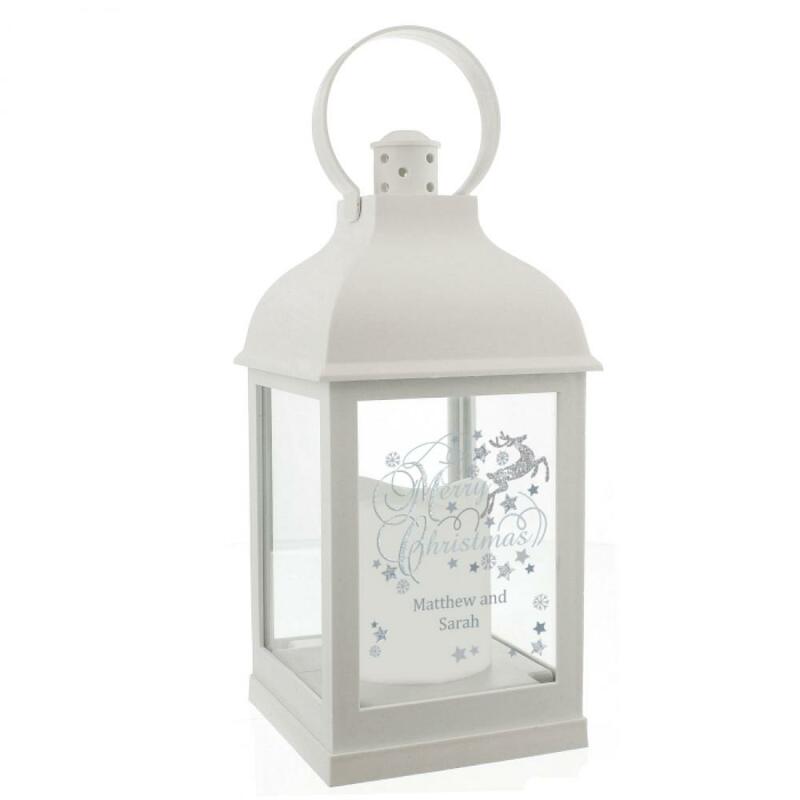 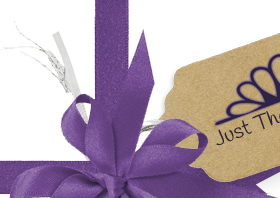 The lantern can be personalised with a message over 2 lines. The lantern comes with the hoop attached to hang. There is an on/off switch on the base. The lantern is made of resin with glass inserts.